In January, we kicked off a new series of monthly articles that explores Akira Kurosawa, his works, influences, working methods and collaborators through the always popular method of listing things. The first article listed the ten most essential Akira Kurosawa films and this month we will be looking at the ten people that Kurosawa most frequently collaborated with. Although Kurosawa can be said to have been an archetypical auteur who was personally involved in all aspects of his films’ production, it would be foolish to deny the influence that his team, the so-called Kurosawa-gumi, had on his works and success. The core of that team was around for decades, helping Kurosawa to attain the recognizable look and feel of his films. The ten individuals listed below are the ones who most often worked with Kurosawa, if counted based on the 30 films which he himself directed. Kurosawa was of course involved also with many other films, first as an assistant director and later as a screenwriter as well as an occasional producer and editor, but I have chosen not to include them in the calculations. The list is primarily based on data from IMDb, Stuart Galbraith Jr’s Kurosawa biography, the Japanese Movie Database and Wikipedia, which means that the source data most certainly contains some errors and omissions, but the list should still be more or less accurate. In case you were curious, IMDb lists altogether 1264 separate individuals as having worked on Kurosawa’s films during his career. However, due to people not always having been credited, especially in earlier films, this number is lower than what the actual figure would be. With all this in mind, let’s jump into the list itself. We shall start with a name and a face that may not be very familiar even to those relatively knowledgeable of Kurosawa’s career. Ichirō Minawa (born 1918) may well not a have name that sounds familiar to you, but the sounds that he created should be very much the opposite. 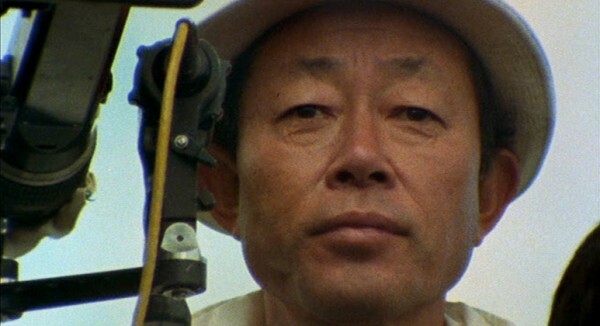 As Kurosawa’s primary sound engineer, Minawa was responsible for the sound effects on the majority of Kurosawa’s films. Exactly how many? The answer depends on which source you consult, but if you put together the available information, you end up with the number 22, which would make Minawa the person that Kurosawa most often worked with. The collaboration between the two men started with Kurosawa’s fourth film The Men Who Step on the Tiger’s Tail (1945) and lasted until Kurosawa’s last one, Madadayo (1993). They would in fact have almost certainly worked together even more often were it not for studio restrictions, as the five Kurosawa films on which Minawa did not work on during this 50 year period are ones that Kurosawa did not shoot for Toho, the studio where Minawa worked. These films are The Quiet Duel (1949), Scandal (1950), Rashomon (1950), The Idiot (1951) and Dersu Uzala (1975). In terms of film history, Minawa’s most influential contribution was probably his work on Yojimbo (1961), where Kurosawa tasked the sound effects engineer to find a sound effect that could be used whenever swords cut into human flesh and bone. Until then, samurai films had not really had any auditory effects for sword cuts, so Minawa had to start from scratch to find a proper sound representation. After recording various combinations of meat cuts (which the crew reportedly cooked and ate afterwards), Minawa and Kurosawa ultimately settled on a sound created by a sword hitting a piece of chicken that was fortified with chopsticks, and that is the sound which is used in the final film. And in a sense it is also heard in so many other places, for thanks to Yojimbo‘s big influence on later action films, Minawa’s sound effect became the basis for all similar action film sound effects. Outside of his work for Kurosawa, Minawa worked on a large number of other Toho films, including Ishirō Honda’s original Godzilla (1954) and many of the subsequent films in the series. If Minawa’s face is unfamiliar for even many of the more passionate Kurosawa fans, that of Takashi Shimura (1905-1982) is very much the opposite. Shimura made his first appearance for Kurosawa in the director’s debut film Sanshiro Sugata (1943), and went on to appear in all but three of Kurosawa’s works up until Red Beard (1965), making him the actor whom Kurosawa most often worked with. The three films that Shimura was not part of during this twenty year period are Sanshiro Sugata Part II (1945), One Wondeful Sunday (1947) and The Lower Depths (1957). Shimura was later also written a small part for Kagemusha (1980), which was sadly cut out of the film’s shorter, international version. Coming from a theatre background, Shimura offered Kurosawa a fairly wide spectrum of performances, ranging from the weak but well meaning (e.g. Attorney Hiruta in Scandal, the woodcutter in Rashomon) to the wise and magnificent (e.g. Detective Sato in Stray Dog and Kambei Shimada in Seven Samurai). Shimura’s arguably finest performance was his lead role in Ikiru (1952) as the determined but dying bureaucrat Kanji Watanabe. Following the 1955 Record of a Living Being and the actor turning 50, Shimura’s roles under Kurosawa gradually became smaller and less prominent. Although not as much of a household name as Kurosawa’s leading actors, Yoshirō Muraki (1924-2009) was in no way a less important part of what made Kurosawa’s films what they are. In fact, apart from Kurosawa himself, he is the person most responsible for what the worlds that Kurosawa created looked like. Muraki’s first film with Kurosawa was the 1948 Drunken Angel, on which he is credited as an assistant art director. He had the same role also in the productions of Stray Dog (1949), Ikiru (1952) and Seven Samurai (1954). Starting with Record of a Living Being (1955), Muraki became responsible for the overall look of Kurosawa’s films, and as Kurosawa’s production designer worked closely with the director to design and implement the visual look and feel of each of Kurosawa’s films until the director’s death, with the sole exception of Dersu Uzala (1975), which Kurosawa filmed in the Soviet Union with a largely Russian crew. Muraki’s face should be familiar to anyone who has watched the Toho Masterworks series It Is Wonderful to Create, episodes of which are included on most of Criterion’s recent releases of Kurosawa’s films. Across the series, the production designer’s anecdotes and insights into Kurosawa’s working methods are some of the most interesting and revealing. In addition to his work with Kurosawa, Muraki was the production designer on over 40 other films, although perhaps apart from Masaki Kobayashi’s 1967 Samurai Rebellion and Kihachi Okamoto’s 1971 Battle of Okinawa, none of them anywhere near as well known as Kurosawa’s. Following Kurosawa’s last film in 1993, Muraki worked on just two films: the 1999 Kurosawa homage After the Rain and the 2002 Takashi Koizumi film Letter from the Mountain. Yoshirō Muraki’s wife Shinobu Muraki (1923-1997) was also a production designer and art director. The couple worked together on two Kurosawa films: Dodesukaden (1970) and Ran (1985). Teruyo Nogami (born 1927) is the only woman on this list and a name that is probably familiar to anyone who who has anything more than a passing interest in Kurosawa. 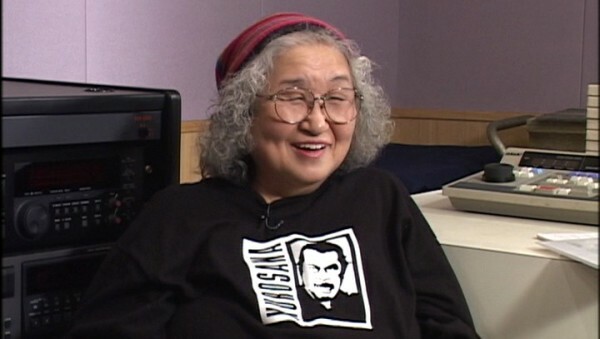 She started out as Kurosawa’s continuity and script assistant on Rashomon (1950), and from Ikiru (1952) onwards worked on every single Kurosawa film, even accompanying Kurosawa to Russia for the one-and-a-half year production of Dersu Uzala (1975). Her responsibilities on the set went beyond strict script supervision and continuity, and her official credits on Kurosawa films also include those of production manager, assistant to producer, and even assistant director (Dersu Uzala). In short, she was something of a principal assistant to Kurosawa. Nogami is also the woman behind some of the most important posthumous documents describing Kurosawa and his working methods. Her book Waiting on the Weather recollects her experiences working with Kurosawa, and she also functioned as the producer and interviewer on the massive Toho Masterworks documentary series Akira Kurosawa: It Is Wonderful to Create, which explores how Kurosawa’s films were made, and episodes of which are included also on many foreign releases of Kurosawa’s films. In addition to her work with Kurosawa, Nogami is a highly respected writer, critic and lecturer. In 2008, her autobiographical novel Kābē was adapted for a feature film directed by Yoji Yamada and released in English as Kabei: Our Mother. Nogami was also an important part of Kurosawa’s production company Kurosawa Production. In the 1970s during Kurosawa’s largely inactive period, Nogami worked in advertising in the Japanese company Sun Ad. We often talk about “Kurosawa’s camera” as if the director was in full control of the viewfinder, but things of course aren’t quite as simple as that. Throughout his career Kurosawa worked with a number of talented cinematographers, but none as frequently as veteran cameraman Takao Saitō (1929-2014). Saitō, therefore, is perhaps the man most responsible for “Kurosawa’s camera”. Takao Saitō joined Toho studios in 1946 and as his first assignment started working on Kurosawa’s One Wonderful Sunday (1947) under the mentorship of Asakazu Nakai (see below). The young cameraman became an indispensable part of Kurosawa’s team from Ikiru (1952) onwards and ended up working on all of Kurosawa’s subsequent films, apart from Dersu Uzala (1975). After Kurosawa switched to a three-camera setup beginning with Seven Samurai (1954), Saitō was typically assigned the “B camera” responsible for providing an alternative perspective, and usually one more experimental than what the main “A camera” was tracked to capture. So well did the chemistry between Saitō and Kurosawa work that after a while the director left his cameraman largely alone, free to do what he felt was best for the scene. It was often Saitō’s B camera which in fact dominated the screen when the finished film was put together. This was probably most pronounced with Yojimbo (1961), where despite the A camera being operated by Kazuo Miyagawa, the legendary cinematographer responsible for such iconic films as Rashomon (1950) and Mizoguchi’s Sansho the Bailiff (1954), more than two thirds of the finished film are said to be Saitō’s footage. 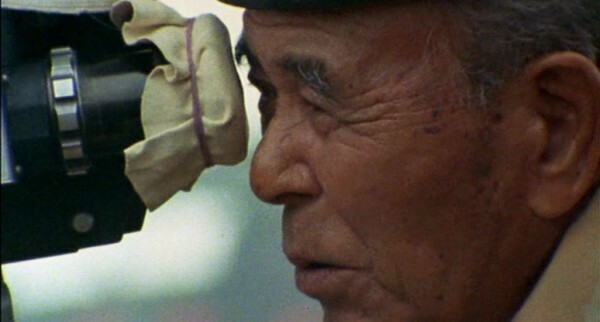 Saitō was indispensable also in Kurosawa’s transition to filming in colour, and after being pared with Shōji Ueda for Kagemusha (1980), the two men became responsible for the cinematography on Kurosawa’s final films. In addition to his role under Kurosawa, Saitō also worked on a handful of films for other directors, the best known of which is probably Kihachi Okamoto’s 1969 Red Lion. Wwhen the first posthumous film based on an unfinished Kurosawa screenplay, the Takashi Koizumi directed After the Rain (1999), was put together, it was Saitō whom the producers contacted to work as a consultant to best pay homage to the cinematography of Kurosawa’s films. 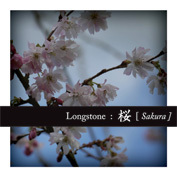 Saitō passed away in December last year. If there is one name and face on this list that even many of those who haven’t seen many of Kurosawa’s films are familiar with, it is that of Toshirō Mifune (1920-1997). Japan’s most famous actor, Mifune and Kurosawa were almost inseparable for a period of roughly twenty years, producing a body a work which is often considered among the greatest actor-director pairings in the history of cinema. Mifune was not supposed to be an actor. His father owned a photography shop and the son was looking to follow in his footsteps, serving as an aerial photographer in World War II and applying for a cameraman’s position at Toho Studios after the war. No such positions were available however, so in June 1946 Mifune ended up trying for the studio’s new faces programme, which was set up to attract new acting talent. Without any background in acting Mifune’s audition didn’t go that well, but by chance he attracted Kurosawa’s interest. The young director spoke passionately on Mifune’s behalf and he was ultimately taken in. The rest, as they say, is history. 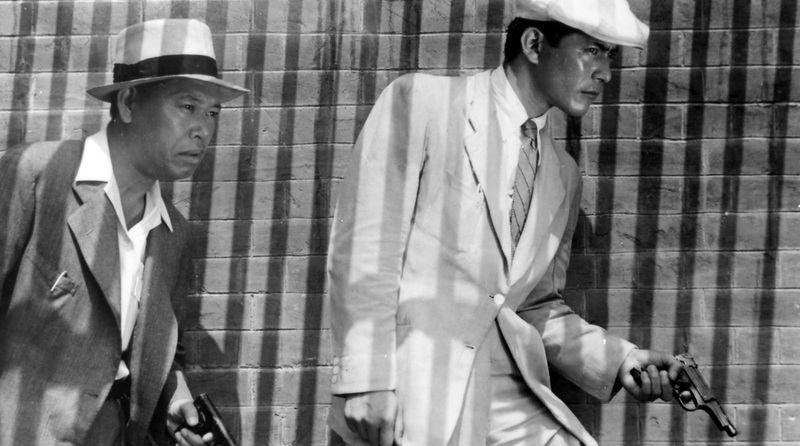 Mifune’s first appearance for Kurosawa was in Drunken Angel (1948), a film where he was supposed to play a supporting role next to Takashi Shimura but ended up hoarding much of the focus with his energetic performance. It was not the first time, however, that Mifune and Kurosawa were credited on the same film, for Mifune’s screen debut was on the 1947 film Snow Trail, which Kurosawa had written for Senkichi Taniguchi. 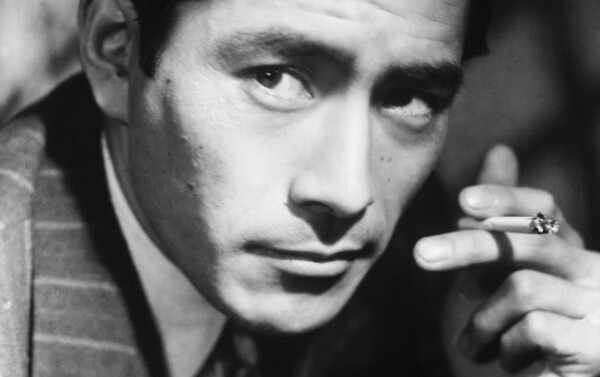 During his career, Mifune also appeared in seven other films that Kurosawa penned for other directors, in addition to starring in 16 films which Kurosawa directed. The two men also worked together on The Legacy of the 500,000 (1963), the only film directed by Mifune himself and for which Kurosawa agreed to do the editing. 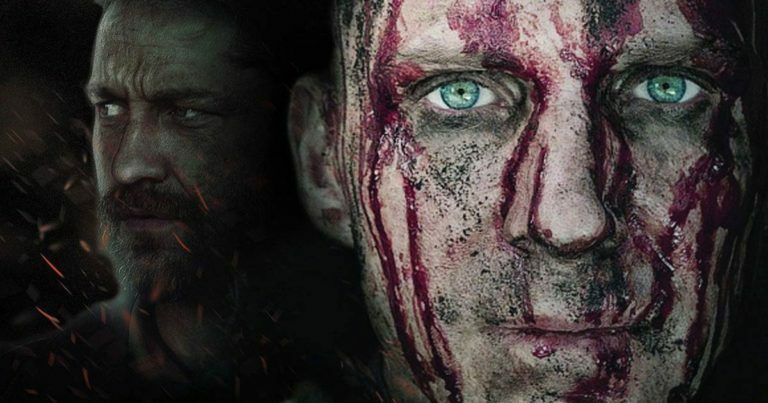 Why the paths of the two men so suddenly and irrevocably diverged after Red Beard (1965) is subject to much speculation. Some have suggested that Mifune had grown unhappy with Red Beard‘s long shooting period which prevented him from taking other work and put his production company into debt, while others have pointed to some parties having been unsatisfied with Mifune’s performance in the film and planted that seed of doubt also in the director. Kurosawa’s attempt to work with Hollywood after Red Beard must have also distanced the two men, and certain things were definitely said during Kurosawa’s failed Tora! Tora! Tora! production in the late 1960s which could have caused a rift, as Mifune was vocally unhappy that Kurosawa had decided to cast primarily amateur actors on such an important American financed film. Although the two men never worked together again and reportedly largely avoided each other’s company, towards the end of their careers each talked about their creative relationship in highly positive terms. And in the end, Mifune and Kurosawa did reportedly reconcile their personal relationship during the early 1990s. Although Kurosawa was instrumental in launching and nurturing Mifune’s career, the actor had a very successful career also outside of the director’s output, appearing in altogether close to 200 films. Early on in his career Mifune was typically cast in gangster roles, while later he crafted a successful and influential approach to samurai roles, highly influencing the genre in the process. 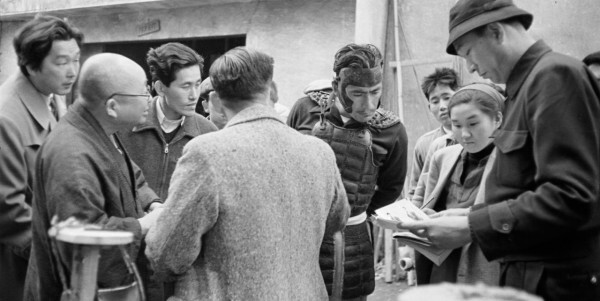 Mifune was also in demand outside of Japan, appearing in numerous Hollywood films, including Steven Spielberg’s 1941 (1979), John Frankenheimer’s Grand Prix (1966), John Boorman’s Hell in the Pacific (1968) and, perhaps most famously, the Shogun television series in 1980. Kamatari Fujiwara (1905-1985) is less of a household name than Toshiro Mifune or Takashi Shimura, but he was Kurosawa’s third most frequently used actor, appearing in altogether twelve of the director’s films. Fujiwara had a part in all but two of Kurosawa’s films from Ikiru (1952) to Kagemusha (1980), typically playing fairly petty, weak and low characters. Perhaps the most memorable of Fujiwara’s roles for Kurosawa is that of the peasant Matashichi in The Hidden Fortress, a performance which directly influenced one of the biggest film franchises of all time, George Lucas’s Star Wars, where the robot R2D2 is modelled after Fujiwara’s role and performance. 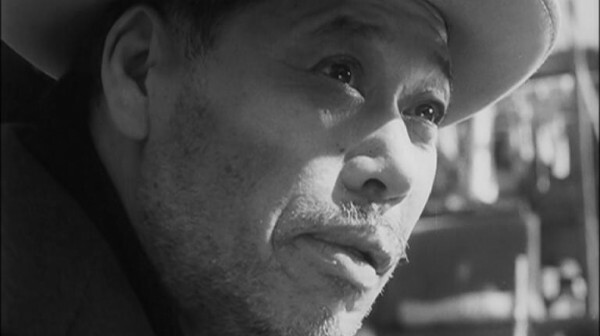 Fujiwara’s characters under Kurosawa also included the paranoid farmer Manzo who in Seven Samurai (1954) fears for his daughter, the alcoholic Actor in The Lower Depths (1957), sub-section chief Ono in Ikiru (1952), assistant Wada whom Mifune’s Nishi saves from suicide and then uses for his own revenge in The Bad Sleep Well (1960), as well as the merchant Tazaemon in Yojimbo (1961), the dying Rokusuke in Red Beard (1965), and the old man longing for death in Dodesukaden (1970). During his 50 year career, Fujiwara appeared in almost 180 films, which also included Yasujiro Ozu’s Tokyo Twilight (1957), Masahiro Shinoda’s Double Suicide (1969), many films by Kurosawa’s mentor Kajiro Yamamoto, and altogether sixteen films with Mikio Naruse. Fujiwara’s sole foreign film was Arthur Penn’s Mickey One (1965), where he played a Japanese artist and had no lines to speak. Cinematographer Asakazu Nakai‘s (1901-1988) influence on Kurosawa’s filmmaking was considerable, not only as the cameraman of Kurosawa’s films, but also as the mentor of fellow cinematographer Takao Saitō (see above). Nakai first worked with Kurosawa on the 1946 No Regrets for Our Youth and remained a close aide until his death in 1988, with Ran (1985) his last credited film. It is also the one that he received an American Academy Award nomination for. Various sources list different details on which Kurosawa films Nakai actually worked on, but putting together the different information would seem to give us twelve films. 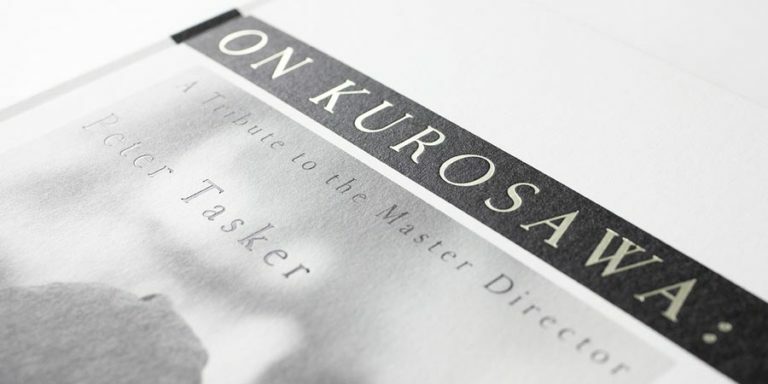 Teruyo Nogami, however, writes in her book on Kurosawa that Nakai in fact “worked on more Kurosawa films than any other cameraman”, which would suggest a figure closer to 20. However, as other sources do not corroborate this account, I have decided to remain with 12. Whatever the actual figure is, it is certain that Nakai was the cinematographer on films such as Stray Dog (1949), Ikiru (1952), Seven Samurai (1954), Throne of Blood (1957), High and Low (1963) and Red Beard (1965), being responsible for their monochromatic beauty and timeless look. During his career which lasted more than half a century, Nakai worked on altogether around one hundred feature films. In addition to his work for Kurosawa, Nakai also served as the cinematographer on three of Mikio Naruse’s films, as well as Yasujiro Ozu’s penultimate film The End of Summer (1961). He was also responsible for the cinematography of the Japanese segment on the 1964 international cinematic effort The World’s Most Beautiful Swindlers, co-directed by Claude Chabrol, Jean-Luc Godard, Ugo Gregoretti, Roman Polanski and Hiromichi Horikawa. Kurosawa wrote the screenplay for every film that he directed. But he rarely did so alone, and for a large part of his career worked with a group of trusted co-writers who challenged and complemented each other’s skills and personalities. None more so than Hideo Oguni (1904-1996), whose largest contribution to Kurosawa’s narrative style is perhaps also the most praised and criticised aspect of the director’s storytelling: his overt humanism. A cursory look at film credits would suggest that the first time that Kurosawa and Oguni worked together was Ikiru (1952), but in fact the collaboration between the two men goes back to a time before Kurosawa had yet made his directorial debut. As a prolific if not entirely respected young screenwriter, Oguni started his career at PCL (later Toho) in the early 1930s, writing mainly action films and comedies for various directors. Kurosawa, who joined the studio as an apprentice in 1936, admired Oguni’s skills with structure and characters, and as the two men happened to be near neighbours, a rapport developed. In 1942, Kurosawa and Oguni penned together a screenplay titled Three Hundred Miles Through Enemy Lines which would have been Kurosawa’s directorial debut had it not been deemed too costly by Toho. The film was later directed by Kazuo Mori for a 1957 release. 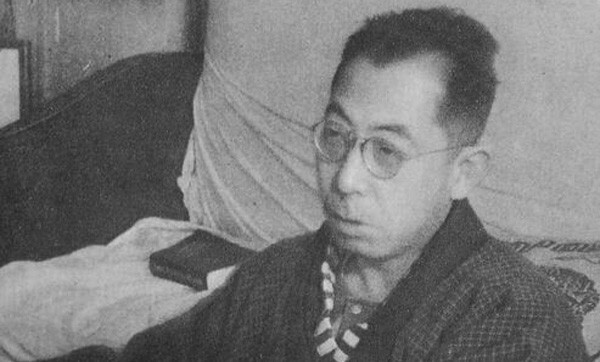 Although Oguni did not appear as a writer in official capacity on any of Kurosawa’s early films, the director often sought the screenwriter’s advice when working on new films. Finally, as he was starting work on Ikiru (1952), Kurosawa announced that Oguni’s advice would no longer be needed and what would be requested instead was full participation. It was the first time that the triumvirate of Kurosawa, Oguni and Shinobu Hashimoto (9 Kurosawa films, starting with Rashomon (1950)) sat together to write a screenplay and the result was one of the classics of 20th century cinema. The trio, who would often be joined by Ryūzō Kikushima (9 Kurosawa films, starting with Stray Dog (1949)), were responsible for the majority of Kurosawa’s best known films. Between Ikiru (1952) and Ran (1985), Oguni himself was an integral part of all but three of Kurosawa’s fifteen films, sitting out only Yojimbo (1961), Dersu Uzala (1975) and Kagemusha (1980). In the late 1960s Oguni, together with Kikushima and Kurosawa, also wrote the screenplays for Runaway Train and the Japanese sections of Tora! Tora! 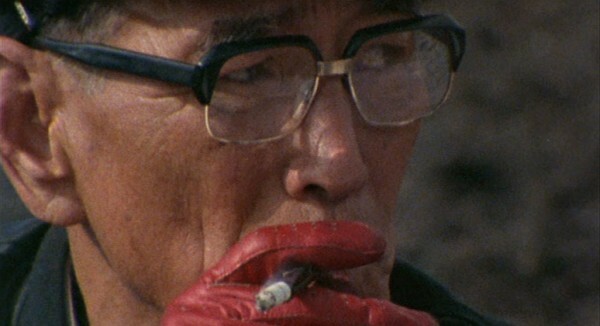 Tora!, neither of which Kurosawa ultimately ended up directing. Yet, it is Oguni’s first film with Kurosawa, Ikiru (1952), which has the most famous anecdote of his influence on Kurosawa’s filmmaking. Oguni was late to get to the bed and breakfast that Kurosawa had chosen for the writers, and as he arrived the two others had already put together 40 pages for the screenplay. Oguni’s reaction to the completed pages was negative, and Kurosawa reportedly got so mad that he tore up the script and blamed Oguni’s late arrival for their failure. But Oguni wasn’t there simply to offer criticism. 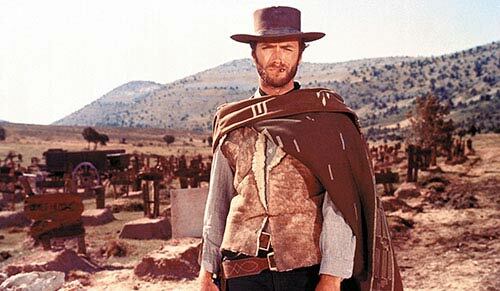 Most importantly, he suggested that the death of the main character should be moved to the middle, an idea that gave birth to the film’s final structure. Later on, Kurosawa would describe Oguni as his navigator who pulls him back into course when he goes astray. 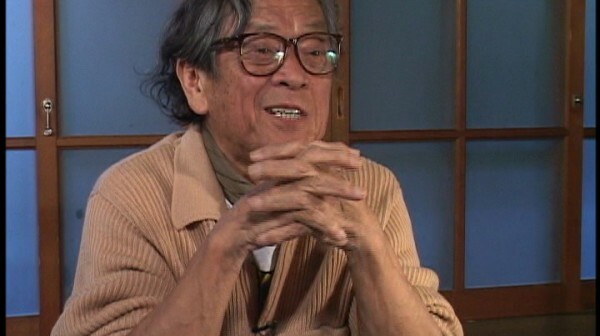 In addition to his contribution to Kurosawa’s films, Oguni worked on around one hundred films during a career spanning more than half a century. His non-Kurosawa films include Hiroshi Inagaki’s samurai film Ambush (1970) which features Toshirō Mifune as Yojimbo, Koji Shima’s science fiction film Warning from Space (1956), Heinosuke Gosho’s postwar drama Entotsu no mieru basho (1953), and Mikio Naruse’s lesser known film A Tale of Archery at the Sanjusangendo (1945). Fumio Yanoguchi (1917-1985), a veteran of 12 Kurosawa films, was one of Japan’s most highly regarded sound technicians. 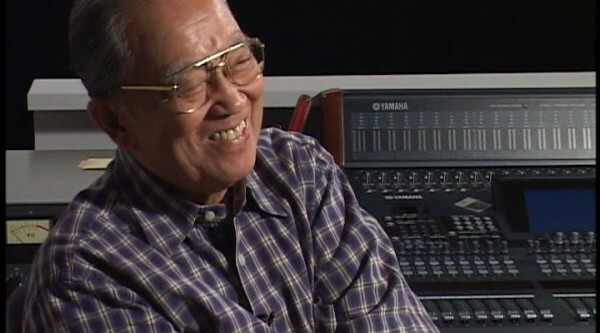 Working at Toho Studios, he was instrumental in developing the practices of recording and editing live sound at a time when most Japanese films were recorded without sound and dubbed afterwards. Yanoguchi’s first film credits are from 1940, and his first film for Kurosawa the 1949 Stray Dog. From there on until his death, Yanoguchi worked on almost every film that Kurosawa directed for Toho, with Yojimbo, Sanjuro and Red Beard the only exceptions. Ran (1985), which came out half a year after Yanoguchi’s death, was the last Kurosawa film on which he worked, and the 1985 Chris Maker documentary AK, which quietly chronicles the making of the film, is partly dedicated to the sound technician’s memory. As a much sought after expert in his field, Yanoguchi worked on over a hundred films during his 45 year long career, including many of the films in Ishirō Honda’s Godzilla series. Thank you for this! Isn’t Minawa interviewed in a few of the It is Wonderful to Create segments? I recognize his face and remember an anecdote about how they went about recording horse whinnies for Seven Samurai. You’ve got a good eye, for indeed he is! Just not quite as prominent a figure there as Muraki or Nogami. The picture I posted of Minawa is in fact a screenshot from the Yojimbo episode of It Is Wonderful to Create. Really enjoyed reading this , interesting article , thanks. Reminded me of reading Waiting on the Weather. Something I found very interesting in the early part of that book, in context with Tampopo being in the film club, was that Teruyo Nogami was house keeper for Juzo Itami while he was a teenager after his Father had died ? I was a little confused as she refers to him by a different first name ( Takehiko ) which also differs from the name quoted on wikipedia for his real first name (Yoshihiro ) . I need to read it again I’m sure she had started working at the studio at the same time but can’t remember if she started working with Kurosawa while still living at the Itami household.